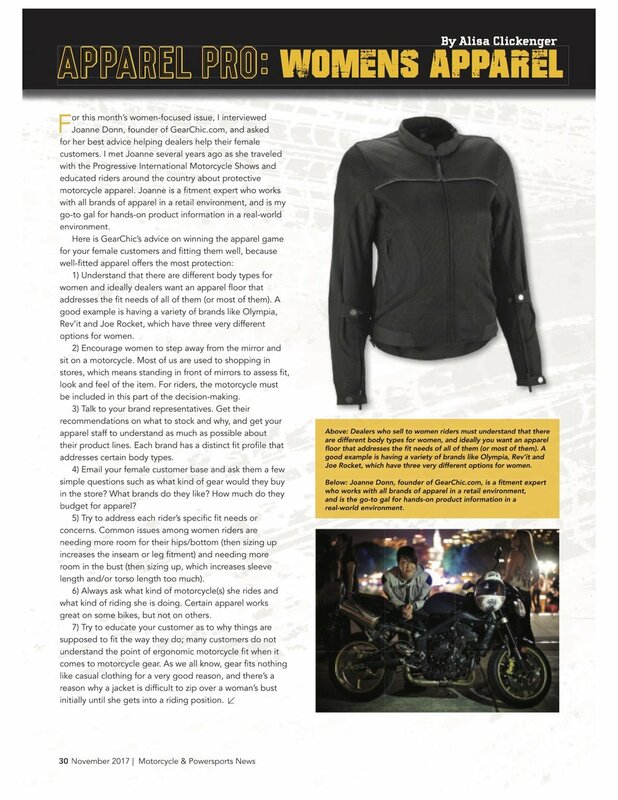 Shout to my girl Alisa Clickenger for featuring me in her article in November's edition of Motorcycle Powersports News. I shared my tips for success when trying to sell motorcycle gear to women. There are a few things you have to consider when thinking about what to carry, including sizes/fit and of course budget. You can address your riding community, you just have to get to know them first! Please share this with any dealers/shops you know that might need help with their selection of women's motorcycle gear. I'm in very good company with my fellow women moto-bloggers in the latest edition of "Be Fabulous!" magazine (free). The mission of the magazine is to "Inspire, Educate and Empower the baby boomer woman". This particular issue features other prominent female bloggers and adventurers such as my good friend Alisa Clickenger aka MotoAdventureGal. And if you're looking for a magazine that highlights the various issues that Baby Boomer women experience you may want to check it out.